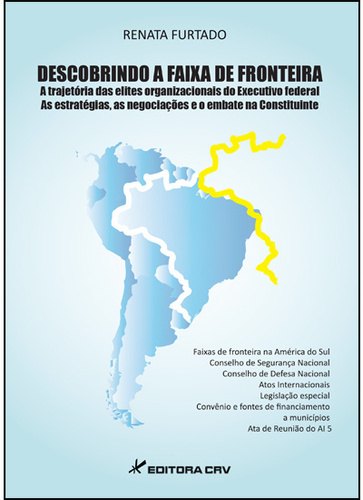 On April 23rd, 2014 in Brasĺlia, at the II Encounter of the Cities of the Borderlands, the National Organization of Brazilian Mayors, brought together mayors and specialists to discuss the situation of the almost 600 Brazilian municipalities located along Brazil’s frontiers. On this occasion, there was a pre-publicaton launch of a new book, Descobrindo a faixa de fronteira, written by federal attorney, Renata Furtado. Soon after, Dra. Renata left for Cambridge, Massachusetts with her family, where, from June 2014 to June 2015, she was a Visiting Scholar at CIBS, engaged in research on comparative border issues. Renata Furtado is the Coordenadora-Geral de Assentimento Prévio in the Cabinet of Institutional Security of President Dilma where she focuses on Brazil’s frontier issues. While at CIBS, she pursued her comparative research on frontier issues, meeting with fellow scholars and specialists in her area, and maintaining an additional affiliation, as a Fulbright Scholar, with the University of Massachusetts Boston. Dr. Biorn Maybury-Lewis served as her in loco dissertation supervisor, while Profa. Dra. Rebecca Igreja, at CEPPAC at the University of Brasília, is her doctoral supervisor. Dra. Renata plans to defend her doctoral dissertation, at UnB, in the coming year.